I've said it many times and I'll never get tired of repeating it. One of the things that I like the most about blogging is the exchange. The possibility of knowing people with similar interests and, sometimes, to actually exchange physical things. Andrés from Culturilla Cervecera sent me a selection of Spanish beers, of which I knew next to noting. They had a pretty eventful journey and only five of six made to my hands. It took my time to taste them, one a day. And, just as I did with Alhambra Reserva 1925, I tried to leave preconception behind and ignored the reviews of others, I wanted to sample these beers without other people's expectations. Here is the result. I started with the two beers from La Zaragozana. The fist one was Ambar Export. There is plenty of information on the labels, they tell us that this double fermented beer was brewed using three kinds of malts. It's got 7%ABV, so I think that the balling is around 17°. A beer to drink carefully. When pouring we can see a beer of rich amber colour, crowned by a lasting white head. The nose is very mild, a bit too much maybe. I was barely able to feel some caramel and alcohol. In fact, if we set our expectations on that, we would probably be ready for the worst. And we couldn't be any more wrong. Export has a creamy body, very pleasant. The first thing I felt when drinking was mild caramel notes, followed by much stronger herbal bitterness and some spice (cinnamon maybe). The finish is very long with subtle caramel that supports more intense herbal flavours. It leaves a very lasting bitter aftertaste. It has to be drunk slowly. In fact, by the end of the glass (which I shared with my wife), it had started to overwhelm me a little. I see it as a beer that walks on a tight rope, just a step away from loosing its balance. I think it can be enjoyed better together with some pinxo that can tame those temperamental flavours a little. A day later, it was followed by Ambar 1900, which fancies itself a British style pale ale. That, together with the name, made me feel surprised when seeing that what goes into the glass is actually light golden, with little head and less carbonation. It reminded me somewhat of some bitter I had in Australia. It is a very mild mannered beer. It is hard to believe it's got 4.8%ABV, though its 12°balling are felt on its unctuous body. Its subtle (not to repeat mild) bouquet is sweetish with vanilla as the dominating element. The flavour plays on the same note, though here accompanied by some citrus notes. The finish is short and, again, mildly bitter. It is a summer beer, maybe a good session beer. My wife, who is not a big fan of very bitter brews, liked it a lot. I didn't so much. Mezquita is brewed by Alhambra brewery, the same of R1925. It could rightly be said that Mezquita is the big sister, it's got a slightly darker amber colour and a lightly tanned head with a long life. Of the lot, it is the most aromatic beer. I felt caramel and coffee with milk, plus a hint of alcohol, as if warning about its 7.2%ABV. Unlike the Export, the first thing I felt when drinking was bitterness, that of dried herbs, followed by sweeter notes, reminding of roasted fruit. The finish is very pleasant, long, predominantly citrusy with strong black tea notes. It is a more mature and, I would say, domesticated beer than Export. I liked it a lot. Voll Damm comes in a 250cl bottle, a very common measure in Spain. It also has 7.2%ABV and it's inspired in the Märzen style. For what I know, it is very well regarded in its country. It is of rich golden, almost amber, colour topped by a creamy head. Its nose is dry and herbal with some hints of burnt sugar there in the back. When I drank it, I felt syrup at first, but very well balanced by citrus notes. The finish is dry and not too long. 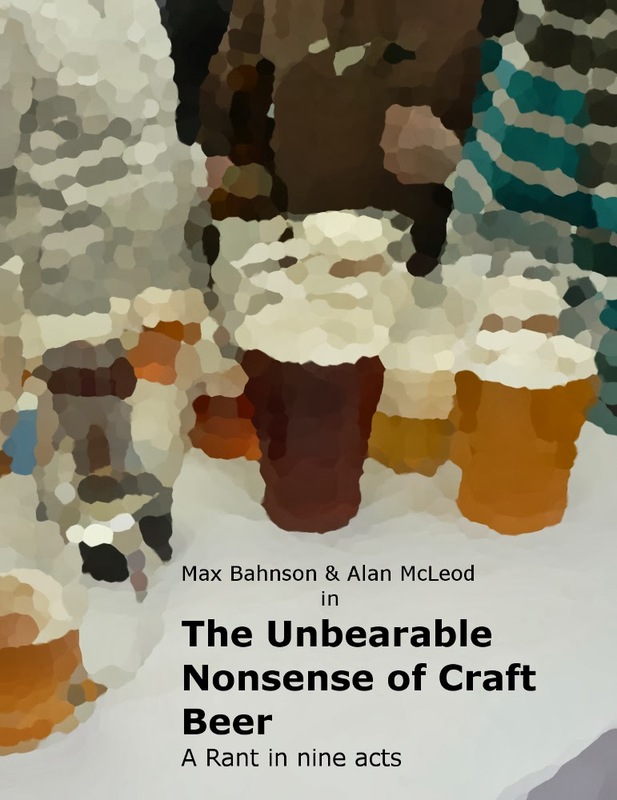 It is a nicely rounded beer, with the alcohol perfectly integrated and very, very drinkable. The reputation is well deserved. Of Damm brewery I also got A.K. in its beautiful bottle. It must be one of the beers with the best presentation I've seen. It was first brewed to celebrate the 125th anniversary of the brewery, and it's inspired in the Alsacian style, country of origin of the brewery's founder. It is of crystal golden colour, with cava-like bubbles and a very white head. It has a delicate nose that reminded me of sponge cake with orange peel. I found the taste, however, rather boring, it's a bit fruity, and that's it. The label tells us that is a mild beer with character. Doesn't lie on the former, but I think it stretches the truth on the latter. It's got everything it has to have, but it is like a green salad without dressing. Of the five, it's the one I liked the least. Personal tastes aside, I would say that all are well made beers and, in general, they have a very fine presentation. Two on them, in fact, Voll Damm and Mezquita, I wouldn't mind being able to drink more often. So if anyone is planning a trip to Spain, you should look for them. I don't know how easy they would be to find, but they are well worth the bother. I love your blog. The latest post is great stuff, as always. I don't think of Spain and beer in the same sentence, usually. As a frequent drinker of beer, but someone who doesn't know all the terminology, have you ever done a post explaining what ABV and balling and 10 degrees and 12 degrees and all those terms mean, for us pivo laymen? Maybe I've just missed it somehow! 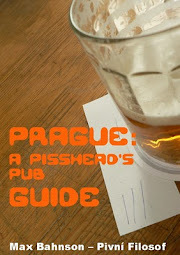 I've written about the balling thing in the entry "Introduction to Pivo", the second post here. Basically it tells the percentage of malt sugars in the wort before fermentation. ABV is short of Alcohol By Volume. Czech beers are categorised according to their balling or plato graduation. And as for beer and Spain. Well, in a way you are right. The most available beers in Spain are not good. These are, according to my Spanish friends, among the best the country has to offer. I think, at least in Europe, you can find good beers everywhere, in some countries it might be easier than others, but there they are. I think Voll-damm is the best generally available Spanish beer - pity it's so strong! And Estrella-Damm is my favourite light lager. It has noticeably more flavour than its competitors. Ambar 1900 seems to vary in quality quite a lot! So when's the Spanish craft beer revolution going to happen, like in Italy? If you liked Voll-Damm, then you should try Mezquita, you will love it. There is one bit I forgot to mention, all these beers come from industrial breweries, which, in a way, make them all the more remarkable. And as for the craft beer revolution in Spain. It does seem to me they are a bit behind, compared to Italy or Argentina.